‘Failed to create the Technical Support file. Please make sure that there is enought space on bootflash. I checked the local storage on Fabric Interconnect and realised that there is plenty of space on the bootflash partition but the workspace partition is full. Apparently, it is a bug in UCSM firmware v. 2.1(1f). You need to log a call with Cisco Support (or VCE Support if the UCS domain is part of Vblock) and obtain a debug plugin ‘ucs-dplug.5.0.3.N2.2.11f.gbin‘. fwm_trace_log fills up the whole partition! 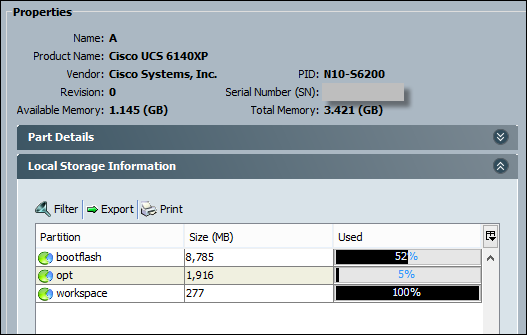 2 comments to Unable to create Tech Support file for UCS Manager – workspace partition is full.